Abel gifts us with his latest. 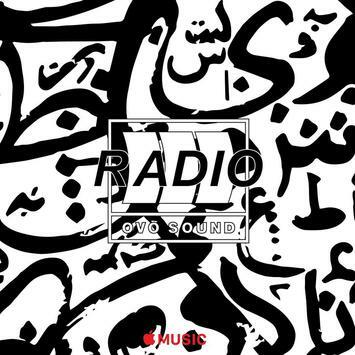 In tandem with the inception of the second leg of his Legends of The Fall World Tour, The Weeknd also decided to drop of the premiere of his latest new track on OVO Sound Radio after teasing the new drop this week on his social channels. Taking on embattled crooner R. Kelly’s “Down Low (Nobody Has To Know), the Canadian hitmaker flipped the script to give his own cover of the 1995 single. The avenue of debuting the track is an unfamiliar one given The Weeknd’s ambiguous history with OVO principal Drake—a relationship that kicked off with a valuable cosign from the 6 god himself, and with the Weekend giving Drake a catalog of his own tracks for the formulation of the latter’s definitive Take Care project. Nonetheless, the duo has been rumored to face a few rough patches, especially gaining traction once The Weeknd decided not to sign with Drake OVO label, despite his heavy affiliations with the crew. While it’s tempting to speculate in favor of troubled waters between the two chart-toppers, it seems that the chapter of rumored animosity has come to a close following a few appearance onstage together this year and with Abel’s decision to premiere his latest on the latest episode. Previously both artists’ overlapping fandom has entertained the thought of the two coming together for a full-length collaborative effort, and this could very well serves a a signal of that actualizing sometime in the near future. Let’s hope the two stars can maintain the comradery long enough for those dreams to become reality. As for now, The Weeknd will continue on his trek that will hit cities such as Boston, Vancouver, Chicago, and select dates in Australia and New Zealand.